SAAarchitects has begun field investigation and design for the conversion of two buildings, located at 259 – 261 East Philadelphia Street, York, PA, into four residential units for Bell Socialization Services, Inc. The project will involve adaptive reuse of the long vacant, historical residential and recent office structures back into residential housing. Located in York’s Historical Architectural Review Board (HARB) district, the exterior will comply with local historic district guidelines and the Secretary of the Interiors Standards. Funding will be provided through the Community Development Block Grant (CDBG) program. The project will bring residential activity back to vacant structures on an important city corner. 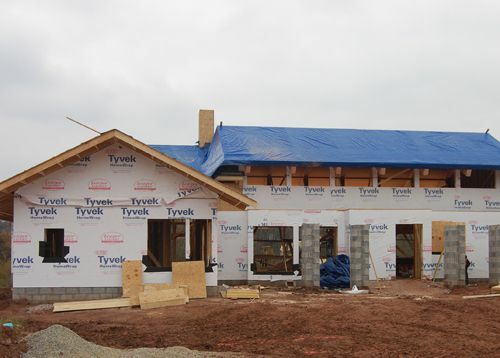 Construction is continuing at the Greenbriar residence. 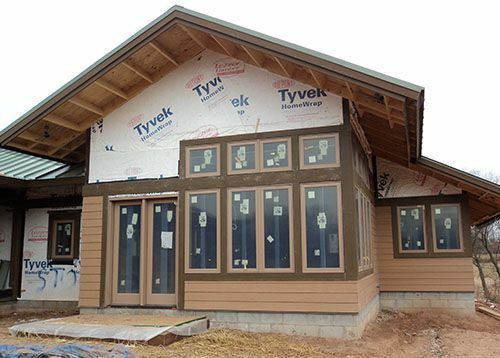 The new construction home that was custom designed now has completed doors, windows, and roof installations. Exterior cladding of stone and fiber cement siding are underway; along with interior rough-ins. Updates coming soon. Construction is underway at the Greenbriar residence. The new construction home will be 6,000 sq. ft. and was custom designed, featuring green and sustainable materials. Updates coming soon!